Has one mislaid one’s dogs? 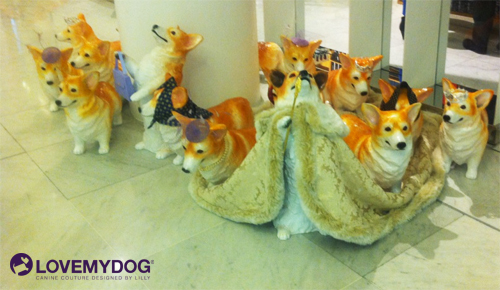 These lifesize corgis have been spotted in Selfridges recently, complete with headscarves and pearls. We’re not sure if they’re there to celebrate the upcoming Queen’s Jubilee or if they just happen share Rabbit’s love of designer shopping. Either way they look fab. Perhaps we should roll out a limited edition Royal Collection this year?